Ryan Honter is the Chief Operating Officer of Colombo Communications Ltd, one of the foremost electronic media organisations in Sri Lanka. As the Chief Operating Officer of the company, he is focused on continuing the mission of the organisation to embody, lead, and serve the media industry. Ryan commenced his career in the TV and Radio broadcast industry in 1997. Since then he has been exposed to the different aspects of the Media business, gaining extensive knowledge and experience in programming, promotion, management, research, marketing, and sales. Ryan’s dedication and his undeniable leadership skills have become the hallmarks of his tenure in CCL, and are recognized as the key ingredients to his success in leading the organization. Ryan also takes pride in his proactive involvement in the day-to-day operations of the three radio channels run by CCL. . He has played the pivotal role in advancing the quality of radio programming and has given leadership to the conceptualisation of the innovative radio programmes aired on Shree FM, E FM, and Ran FM. Over the years, Ryan has infused CCL with his own brand of positive leadership and zeal. He is a well-known and highly respected radio professional in the country. 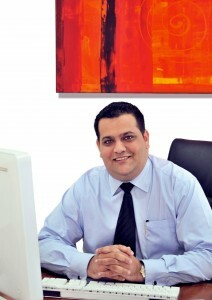 He is acknowledged for his close and warm relationships with the advertising agencies in Sri Lanka. Under Ryan’s leadership, Shree FM, the flagship channel of CCL had the distinctive honour of winning the award for the “most creative marketing strategy” at the 2010 AIBs as well as the International broadcasting excellence award by the NAB for 2010. He is currently a member of the board of the IAA Sri Lanka.